Follow Orange Ave West from I-581. Take 10th Street to the right, left on Grayson Ave. to the house on the left. 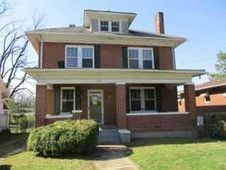 The details on 1014 Grayson AVE NW: This house located in Melrose-Rugby, Roanoke, VA 24017 is currently for sale for $22,500. 1014 Grayson AVE NW is a 1,944 square foot house with 4 beds and 1 bath. 1014 Grayson AVE NW is in the Melrose-Rugby neighborhood of Roanoke and has a WalkScore® of 41, making it car-dependent. This house is in the attendance area of Round Hill Elementary School, James Breckinridge Middle School, and William Fleming High School. Listing Courtesy of: RVAR and REALSTAR, REALTORS LLC.